This morning Keyshia Cole stopped by Power 105.1's The Breakfast Club and discussed a number of topics: Love, music, new projects, friendships and more. Check it out below. Karen Civil stopped by Power 105.1's The Breakfast Club this morning to talk about her experience working for Hillary Clinton. She also spoke about being a Girl Boss and dropped motivational gems as usual. I love seeing women WINNING especially my brown girls. Check out the interview inside. Nicki Minaj arrived to the Tidalx1015 charity concert serving BODY! She SLAYED in a lace bodysuit by Maison Margiela, with a sick sleek weave down to her a**. I'm really loving her new image. This morning she phoned into Power 105.1's The Breakfast Club and chatted about her recent performance at Tidal X, meeting her idol Lauryn Hill, her twerking skills plus more. Listen inside. 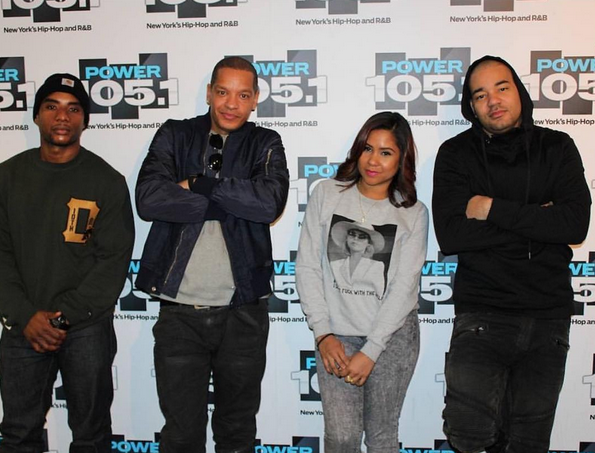 The Player of the year aka Peter Gunz stopped by The Breakfast Club and spoke about his complicated relationship with Wife Amina Buddafly and Baby Mother Tara Wallace, his kids plus more. He also reveals the name of his 9th child Gunner, that he's expecting with Tara Wallace. 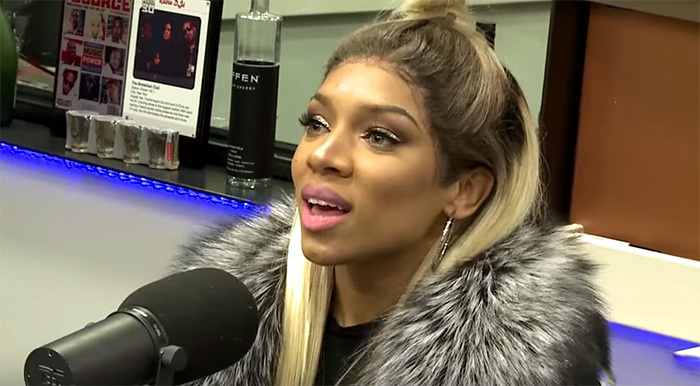 I didn't think Lil Mama would ever return to the Breakfast Club, after Charlamagne called her the voice of the young struggle face. YIKES!! However she came back with a new look and no tears this time around. Watch below. 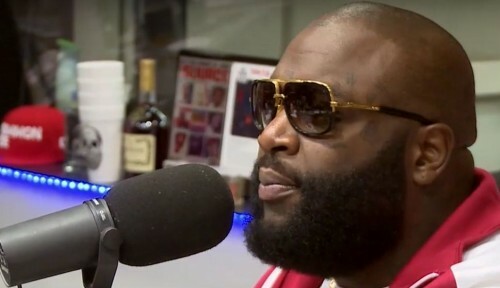 Rick Ross stopped by The Breakfast Club AGAIN this year and had plenty to say this time around. If you ever watch and or listen to a Ross interview. you'll notice that he never really answers questions. He'll do a whole lot of dancing! However in this interview he spoke on his jab towards Drake, Lil Wayne & Birdman beef and more. Check it out below. Black Market drops tomorrow December 4. Rapper Rick Ross stopped by Power 105's The Breakfast Club and talked about his engagement, incarceration, 50 cent & the Meek vs Drake beef. Press Play!! 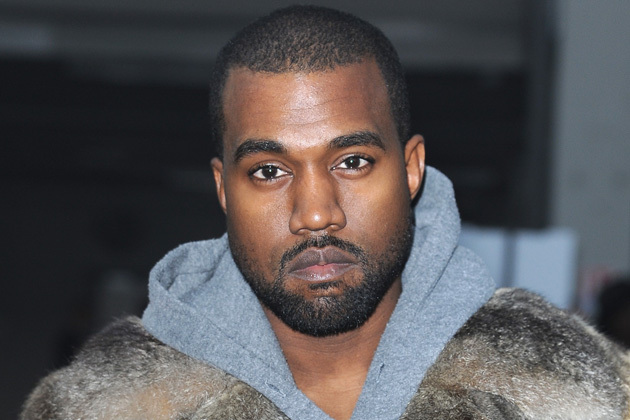 Yeezy returned back to The Breakfast Club to discuss his new music, Beck at the Grammys, fashion, Amber Rose, Kim Kardashian, working with Drake, Tyga's relationship with Kylie Jenner and much more. This brother is a piece of WORK! Head inside to check it out. Amber Rose stops by The Breakfast club and she had lots to say. If you guys noticed homie girl has been super vocal since being freed from Yeezus. Her personality is ratchet but cute. Check it out inside.